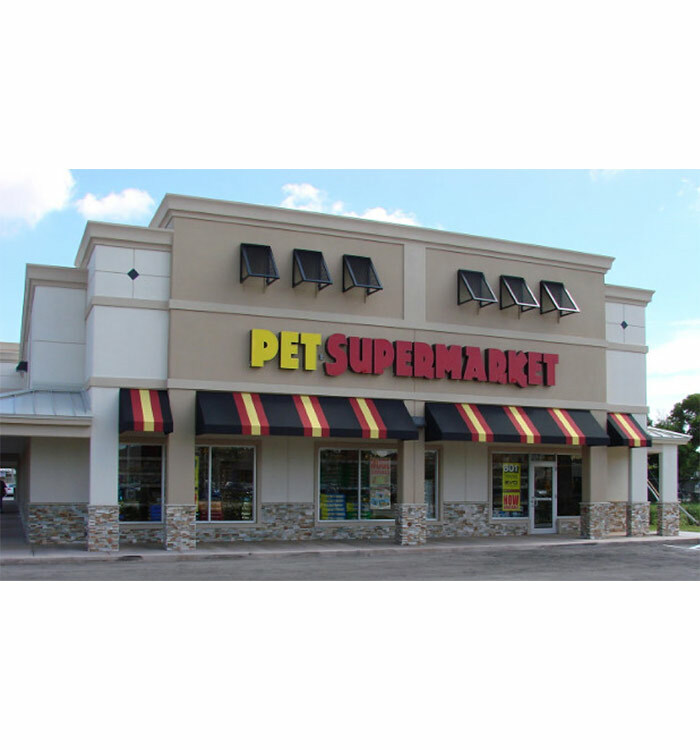 Pet Supermarket, Inc. operates a chain of pet care supplies retail stores in the United States. 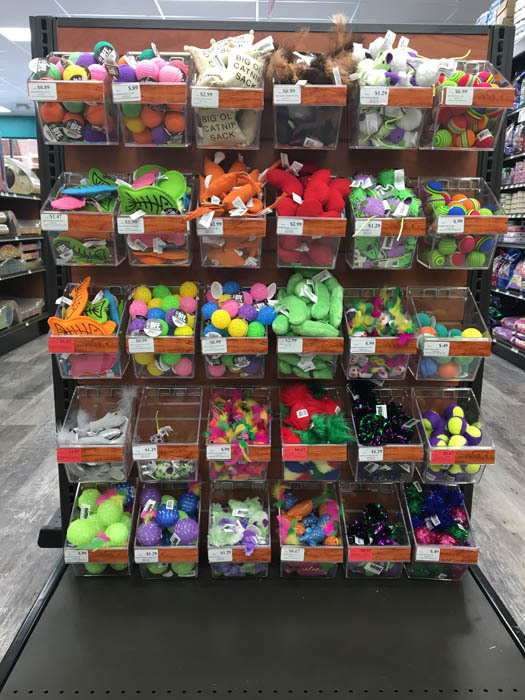 It offers everything needed to care for pets. 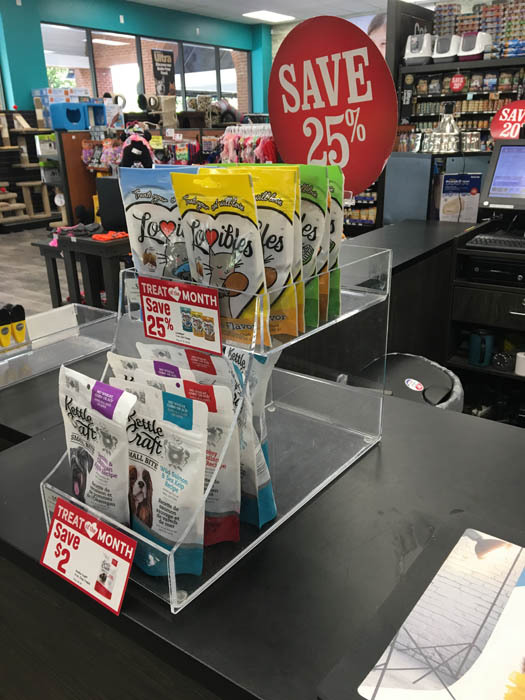 They have 200+ locations throughout the United States. Pet Supermarket continues to work with Azar Displays for stock buckets and trays for their needs. 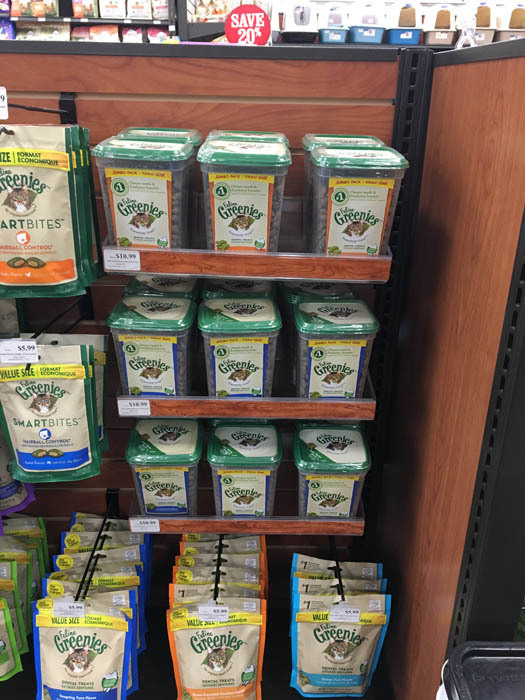 Pet Supermarket used laminate inserts in the c-channel to complement the back wall of the gondola fixture. 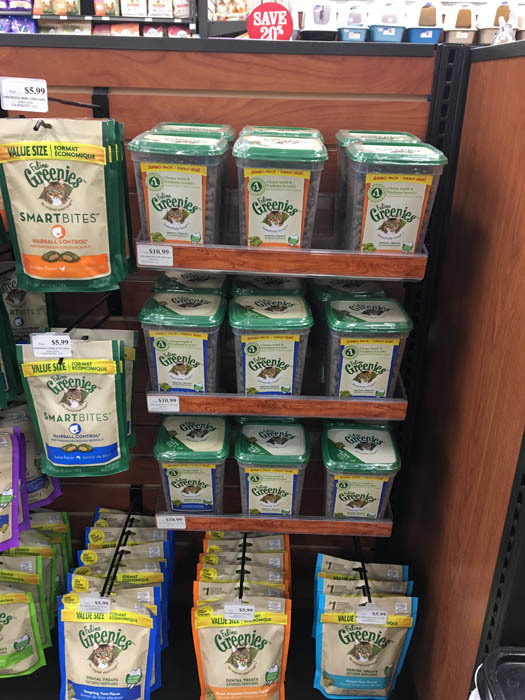 Pet Supermarket created a shelving area inside their slatwall gondola fixture using Azar’s 16” wide open tray item #556070, they also used inserted laminate into c-channel. Custom Acrylic Counter, quantity 465, were developed, produced and shipped in a 4 week time frame. Stock items ship out right away direct to stores.